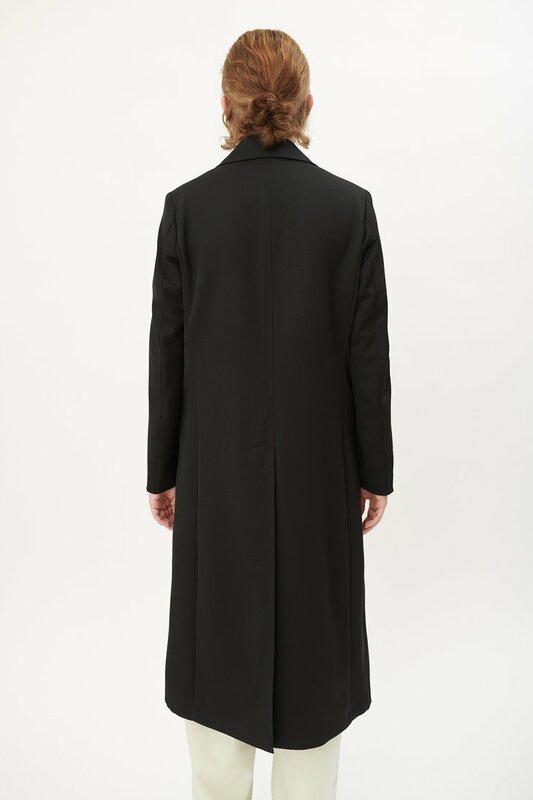 Our Sharp Coat in Black Twill. 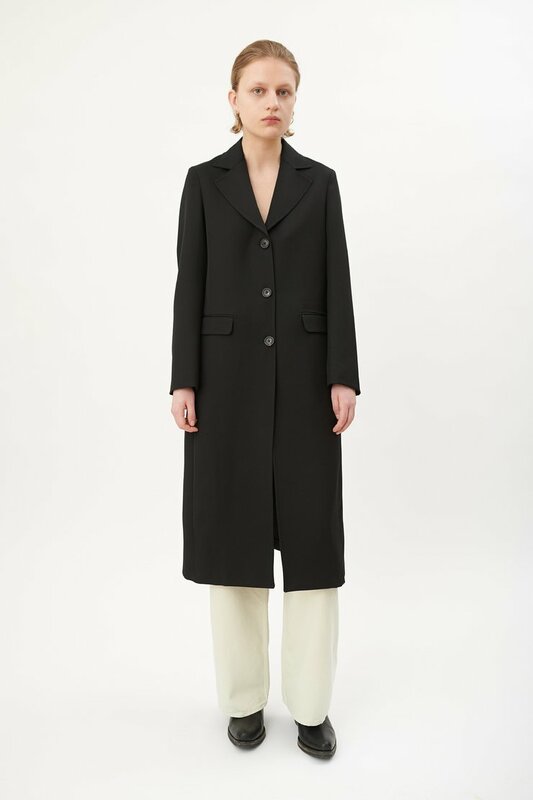 Produced in an Italian wool blend fabric, this fully lined, womens coat has a relaxed tailored fit and features a peaked lapel, horn buttons and single back vent. 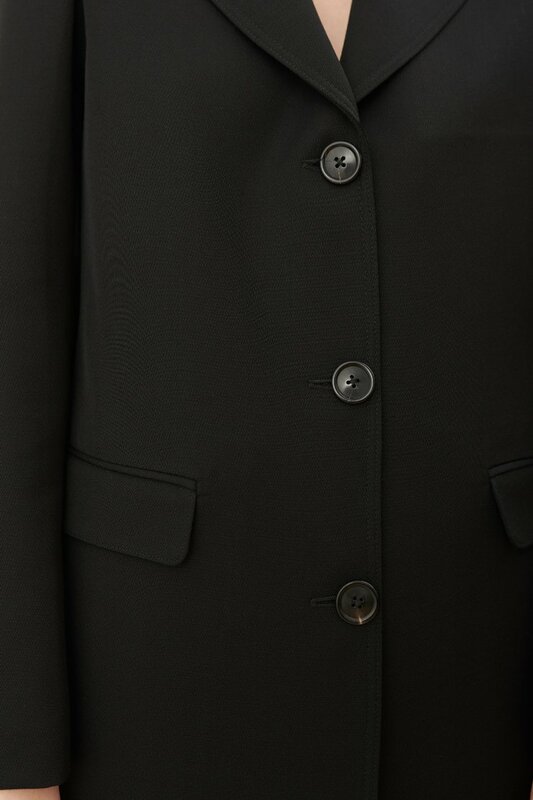 The Sharp Coat Black Twill is true to size with a relaxed tailored fit. 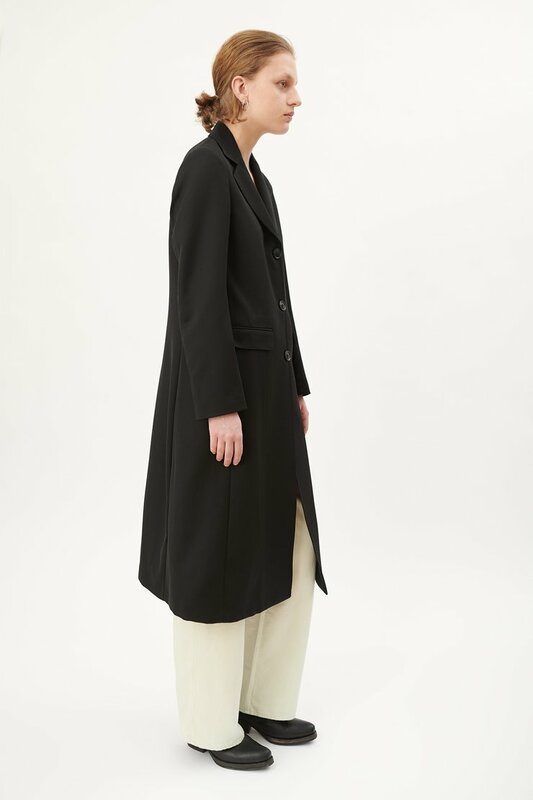 The model is 175 cm tall and is wearing a size 36.